This is no pyramid scheme. 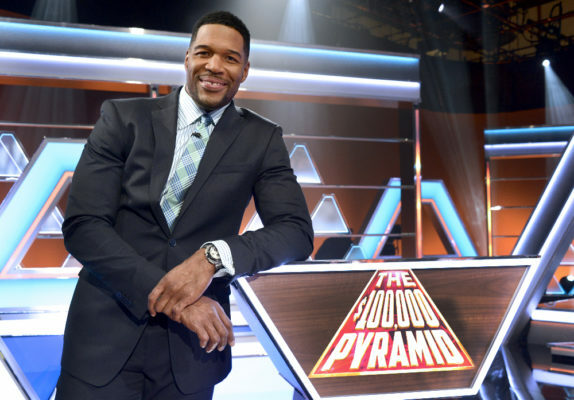 The $100,000 Pyramid TV show has been renewed for a second season on ABC. Hosted by Michael Strahan, celebrity guests on the first season of $100,000 Pyramid include: Ana Gasteyer, Randall Park, Alfonso Ribeiro, Sherri Shepherd, Martha Stewart, Bellamy Young, Anthony Anderson, Mario Batali, Anna Camp, Rachel Dratch, Snoop Dog, and ‘Weird Al’ Yankovic. ABC Entertainment President Channing Dungey broke the news that ABC had picked up season two of the popular star-studded game show during today’s TCA executive presentation. Summertime games show have proven a nice payday for the Alphabet Network. Dungey also announced the To Tell the Truth, and Match Game TV shows have been renewed for their second seasons, while Celebrity Family Feud has been picked up for a third. What do you think? Are you a fan of the $100,000 Pyramid TV series? Do you plan to watch the second season on ABC? Yes when does it start. We love watching this show. I’m Definitely Watching Season Two, I want to see someone beat the winner’s circle twice for $150,000 dollars, Rock on Michael Strahan!!!!!!! I believe you can’t win more than $100k. If a player gets to the winner’s circle twice, no matter what they won in the first round, they’re playing to win $100k total. So when does the Pyramid start again? I love this show. My parents love it too. Please keep it at 8 pm. CST. 9 is too late for my 88 year old parents. Yes, I’ll be watching season 2 of $100,000 Pryamid. Awesome!